Nemean Solutions is officially open! We are excited and thrilled for the opportunity to serve our clients, teaming partners and our nation's Warfighters with professional services. Nemean Solutions provides consulting and Subject Matter Expertise in training and exercise support, modeling & simulation support, experimentation, concept development, force design, cyber support, and more. 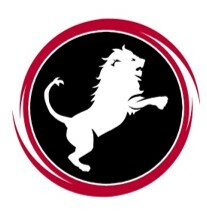 Our website www.nemeansolutions.com is launching soon. Nemean Solutions is a SDVOSB, minority-owned, economically disadvantaged small business (8(a) eligible).